Just like a car needs its wheels aligned every so often, a garage door needs to be aligned, too. Without a proper alignment, garage doors can actually lock you out of your home causing frustration and anger. Or, what if you need to leave and your garage door won’t open, and you get stuck inside the garage? At the end of the day, garage door alignment problems should be fixed as soon as you witness them occurring, so they don’t get worse down the road. Many people might not know their garage door actually needs to be repaired. Mechanical issues can occur such as binding or rubbing of the garage door. There might also be issues with your garage door if there’s a gap between the cement floor and the door itself. 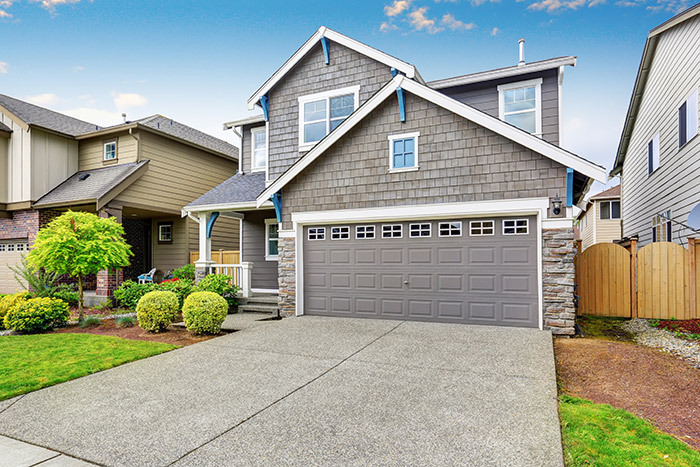 When it comes to garage doors, most people have one that opens from the floor to the ceiling. When the garage door is fully open, it’ll sit parallel with the ceiling. The alignment of a garage door involves its track. You’ll need to realign your garage door if it gets bumped off track or if hardware needs to be replaced. 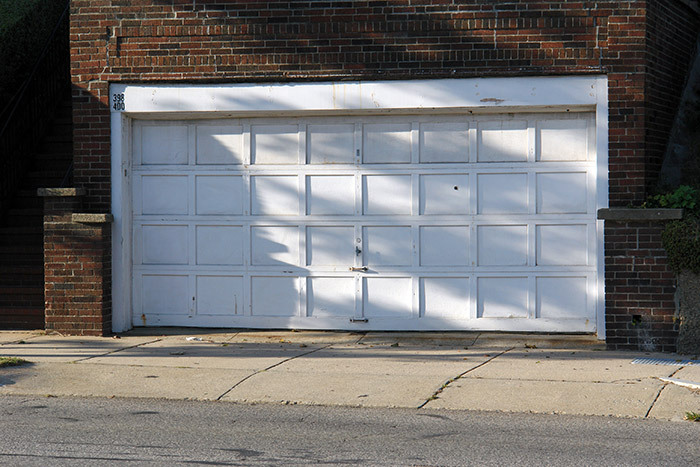 Garage doors that are off-kilter can be very dangerous to you and your family. A garage door that’s very far off track can actually fall and injure people nearby. If there’s a door jam, an emergency situation could really mean life or death if the garage door can’t open or close. On the other hand, a poorly aligned garage door won’t lock properly and could allow criminals into your garage and home. The scenarios are endless and they all occur from a bad garage door alignment. Don’t fret. Garage doors can be fixed easily. Read below to fix some of the most common alignment issues for any garage door. There are a few ways that you can fix a garage door that’s on the crooked side. Not only will this help your garage door look more aesthetically pleasing, but it’ll also work properly. Begin to look at some of the most common problems when it comes to a garage door that’s off-balanced. Check out your garage door track with a quick inspection. Notice if your track is worn down or warped and twisted. If your track looks out of sorts, you’ll need to replace it or bring a professional in to get the job done right. Another issue you should look for is debris which causes your garage door to get stuck when moving on the track. Try to move any obstructions that you can. If the garage door is still getting stuck, don’t apply grease to the problem. You may cause further damage to the track and the garage door. One of the most important pieces of the garage door track comes in the form of springs and cables. If your cables and springs are no longer working properly, you may need to fix this problem immediately. As always, if this job is too much for you to do, call a trained professional to come out. A bounded garage door is never a good thing. This occurs when the door doesn’t move up and down with ease. Here are some options to help you solve a garage door that’s bound. Consider trying these four steps to help. Have a screwdriver nearby? You’ll need one for this project. Go around on the track and loosen the screws that are connected to the frame of the garage door. Next, grab a rubber mallet to move the bottom track ever so carefully. A level can also be used, to make sure you’re completely correct. After you’ve moved the track to your liking, tighten the screws back on the track, so it keeps its form. Complete this process again with the other track connected to your garage door. Just start with the steps over again to complete the alignment process for both tracks. Rubbing is not a good thing when it comes to garage doors. The same can be said for gaps in a garage door. These problems will only worsen over time. Here are some solutions to help you along. Doesn’t this sound familiar? Get a wrench or ratchet set to relax the bolts from your track. Move your tracks to the right or left, so there’s a gap no bigger than a quarter inch. A gap that’s this small is no problem, and it’ll actually help bring needed air into your garage. Repeat this adjustment for the other piece of the garage door, too. Use your wrench again to tighten everything back up nicely. Push on the track after you’ve tightened everything up to make sure it’ll stay in order. Your garage door might also be faulty if the weather has worn it down over time or the material has become old. Luckily, all pieces from a garage door can be replaced, but this is a two-person job, so make sure you have help or professionals coming in to do the work. Start by inspecting the garage door. If you have a metal or wooden door, pieces might have rusted or rotted out. Look for these warning signs. Next, look at the hinges, especially if you have a carriage style garage door. Are they working properly? If not, repair new hinges on your door. You’ll need to purchase screws and install with a drill or screw driver. Do the springs need a replacement? If they’re still springy, then move on with your inspection. If not, you’ll need to find springs that fit your garage door model. Sometimes, the company that manufactured your garage door no longer makes the hardware. In this case, you’ll need to install a brand-new garage door all together. In the end, remember that you need to fix any garage door issue as soon as possible. Don’t wait and put this on your to-do list. Fix the problem or get a professional to solve the problem before your garage door becomes a nuisance all together. If your garage door has seen better days and it’s too much to simply repair it, you can trust Feldco for the best garage door replacement around. We’ve been delighting customers for over 40 years and would love to help you with your garage door replacement project – get a free quote and start today!